True Rancho Las Palmas gem! Fabulous 300 plan on the second green of the South golf course. 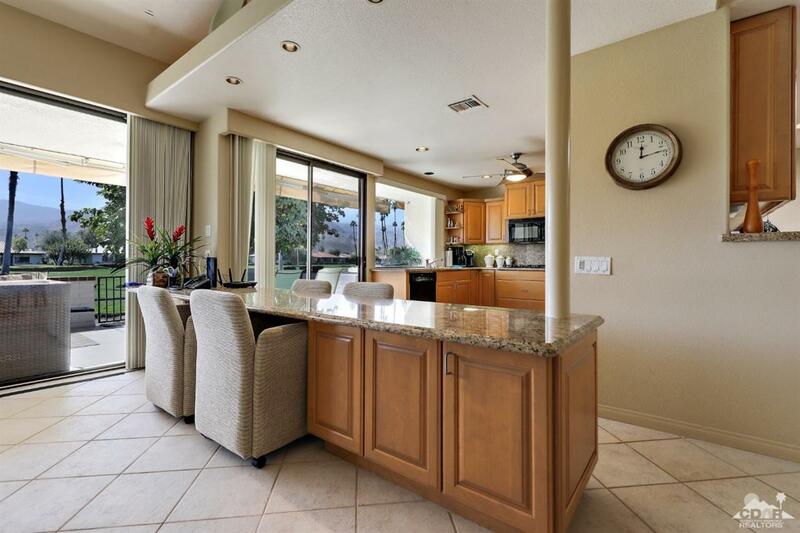 Enjoy expansive southern mountain views from the large patio. 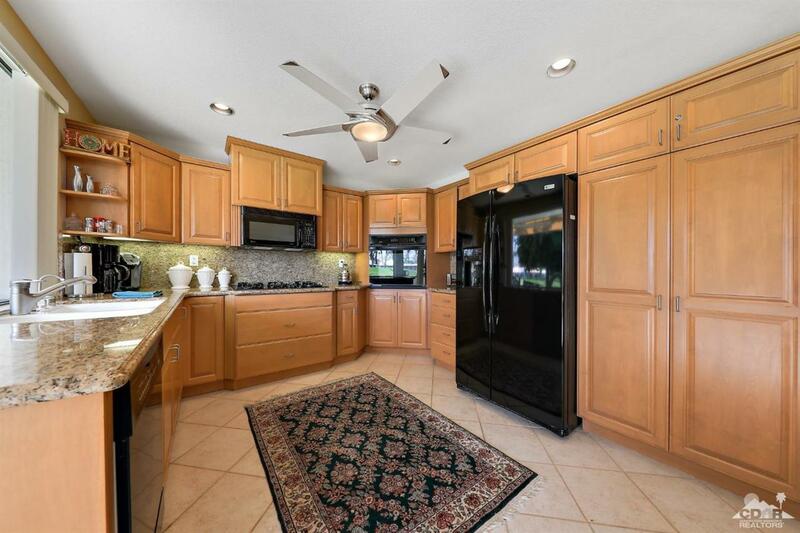 Completely remodeled with walls removed for modern open concept. 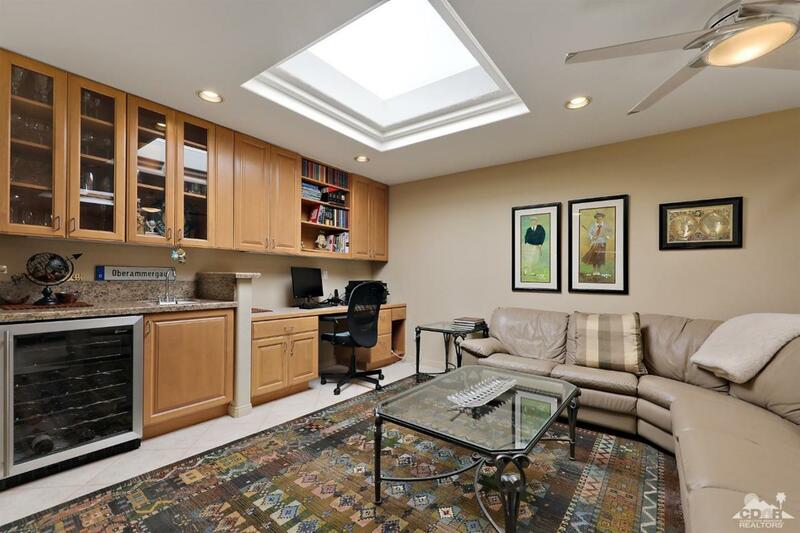 Atrium and 3rd bedroom were combined to provide large den with built in work space plus wet bar and wine storage. 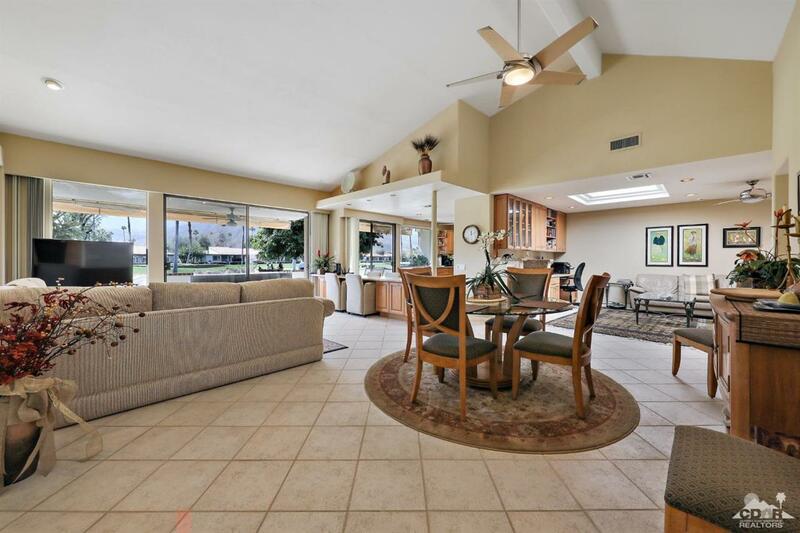 This is a MUST see and it won't last!You will appreciate all the amenities of Rancho Las Palmas Country Club including the 27 hole Ted Robinson designed golf course as well as the many tennis and pickle ball courts. Located directly across the street fron the River shopping complex with it's world class restaurants and shops. Listing provided courtesy of William Tuck of Hk Lane Real Estate.